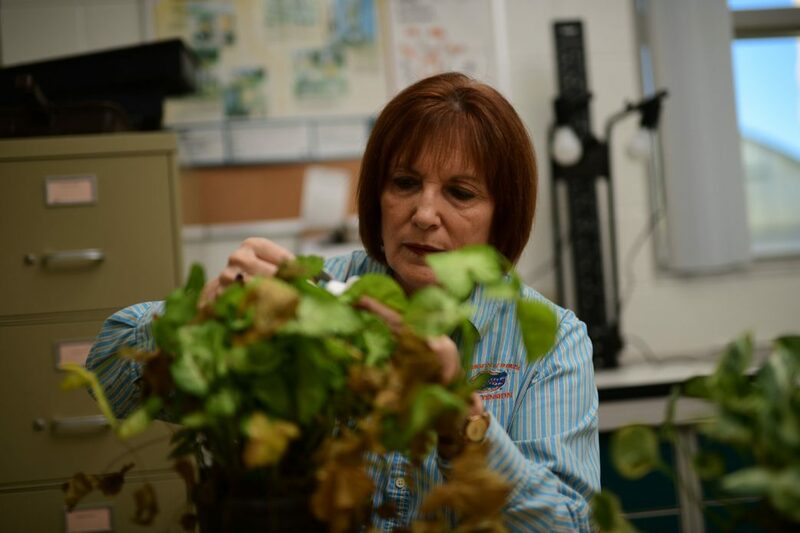 Liz Felter examines a plant in the UF/IFAS Plant Diagnostic Lab. APOPKA, Fla. – Liz Felter gazes at the tomato plant and considers it quietly for a few seconds. Stroking the discolored leaves, she sticks two fingers in the soil and pushes the dirt down. “My gut tells me it’s not Erwinia,” says Felter, a University of Florida IFAS Extension regional specialized agent. The visitor to the UF/IFAS Diagnostic Plant Clinic in Apopka merely nods as Felter continues. Visitors to the plant clinic housed at the UF/IFAS Mid Florida Research and Education Center are mostly male farm managers, landscapers or nursery workers. But gender doesn’t matter when they turn to “the plant whisperer” for help. Within minutes, Felter is on to the next assignment, as she races down a winding hallway to her office across from the clinic that she directs. Felter brings a unique set of skills to her job. But her Extension work is all about plant production, food production in greenhouses and local food awareness. In addition, Felter helps decision makers and policy makers work on ordinances that will be friendlier to urban ag producers. Many communities have antiquated definitions of farms on the books, and some leaders believe farming leads to more pollution, Felter said. 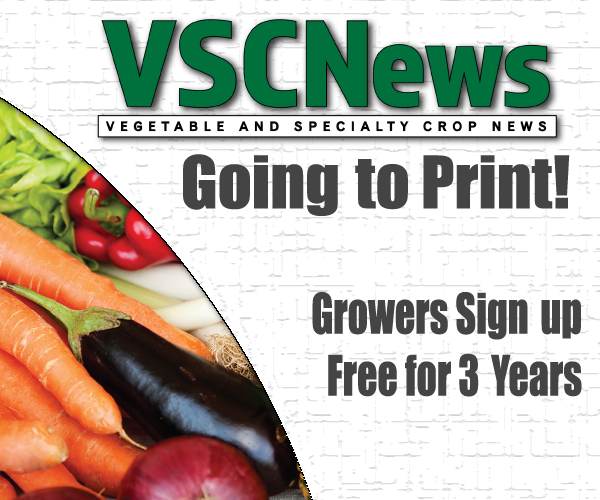 “We need them to realize that someone growing hydroponic lettuce uses a contained system of nutrients, therefore no runoff occurs from their production site,” she said. So, Felter will assist with a tour for local legislators and decision makers visiting farms in Seminole County to introduce them to what local production is available in the area.